On the way to work this morning, I was listening to 6Music and they played the lead single off Morrissey’s new album, “Spent the Day in Bed”. I saw him performing it a couple of weeks ago on Later…. (watch that here) and wasn’t terribly impressed. It sounded better second time around, I think at least partly because the very sight of Morrissey now annoys me and I was able to just listen to the song without any other distraction. There was a time in my life when I absolutely adored Morrissey. I discovered The Smiths relatively late, in my first year at University, but I fell hard. My gateway song was “Half a Person”, heard on a friend’s cassette copy of the compilation album, “The Complete Picture”… but the timing must have been just right for where I was in my life at that time, and I was in love. I even spent a fair bit of time, way back in the early days of the world wide web mucking about getting into arguments on alt.music.smiths and alt.music.morrissey. I wonder what happened to thrill/Jill. She was easy to bait but remains the most passionate Morrissey fan I ever came across, and that is really saying something. He certainly seems to attract them, doesn’t he? It sounds ridiculous now, but at the time, their entire back catalogue was deleted and you could only buy the albums on import. I remember being delighted to find a French import copy of “Hatful of Hollow” on CD at a record fair at the Birmingham NEC. It was quite an event when Warner Brothers re-released the back catalogue (which managed to upset Rough Trade indie purists, of course… extra track and a tacky badge and all that). In 1993, my three housemates and I agreed that we would each draw another housemate out of the hat and buy that person a Christmas present instead of everyone having to buy something for everyone else. I was given a limited edition 10 inch vinyl copy of “Hatful of Hollow”, still my favourite of their albums and something that I had framed and still has pride of place in my man cave to this day. I didn’t even own a record player until 2015. 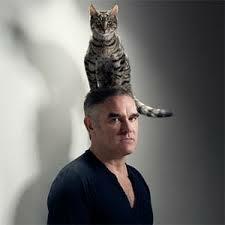 Eventually, I started to realise that Morrissey was a bit of a prat. Not only that, but the quality of his output seemed to drop off a cliff and he seemed to disappear entirely for a few years towards the end of the 1990s. Maladjusted was pretty bad, I know… well, have you ever met a keener window cleaner? I still loved a lot of the music ("Bona Drag" is brilliant, “Vauxhall and I” is a classic and there’s lots to like on “You Are the Quarry” too, even if it’s been very patchy since), but something had changed. Maybe Morrissey had always been like this and I’d just got a girlfriend and moved on with my life… but he’s obviously pretty awful now, isn’t he? Do you think he ever looks at the seemingly endless cycle of feuds with his record companies or the press or high court judges and former band mates and ever wonders if perhaps it might be him? Maybe, just maybe we were prepared to overlook “Asian Rut”, “Bengali in Platforms” and “National Front Disco”, but when he’s trumpeting on about Nigel Farage, Brexit and his noxious views on the Chinese? Hmmm. Was he always like this and the fans were just too blind to see it? Well, whatever… Let's just say that, as the years, have gone by I’ve come to realise to a much larger extent quite what a pivotal role Johnny Marr played in the Smiths. without immediately thinking that, rather than perhaps talking about the inherent subjectivity of the news that is editorialised and presented to us for uncritical consumption, the reactionary berk is instead brainlessly barking “FAKE NEWS”... uncomfortably like that other kindred spirit in the US with an overly-elaborate stack of hair. I've never really been one of those fans who hang around on True to You and think it's clever to pepper every sentence with old Morrissey lyrics... even at my most lovelorn, I think I've had far too firm a grasp on my critical faculties for that. Even so, given that it seems to make me angry to even look at the man now and I find his studied archness irritating even before I've considered the nonsense he's actually speaking... I suppose you can say I'm probably over Morrissey now. Damn, but the Smiths were a good band. agreed - i stopped paying attention upon hearing "Bengali in platforms" when Viva Hate was released - even at the age of 14/15 that just wasn't cool. Me too. Agreed. He's a prat. However, The Smiths is another thing altogether. There used to be a radio show when I was growing up in South Africa where they would play loads of indie music, including lots of Smiths. Singing about Rusholme Ruffians and cemetery gates, no realising that 4 or so years later I would be living 5 miles from where they were singing about.